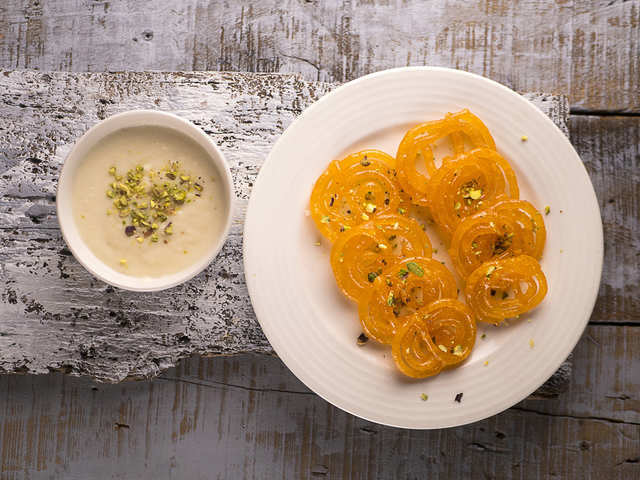 Every meal is incomplete without some mouth-watering desserts. 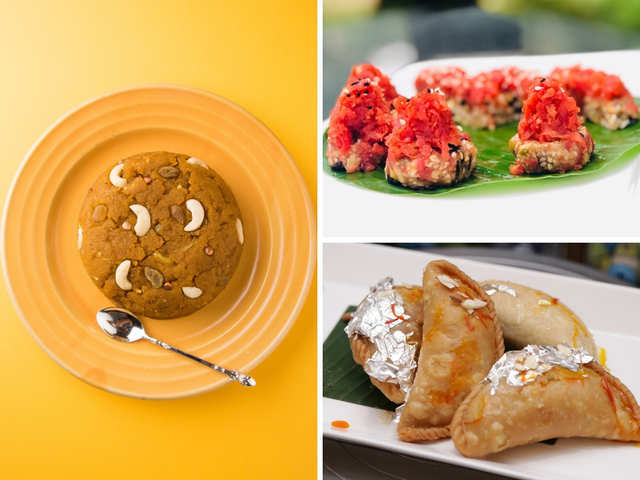 From jaggery-date gujiyas to juicy jalebis and healthy oat bars, these delicious Holi recipes with an interesting twist will make your day. 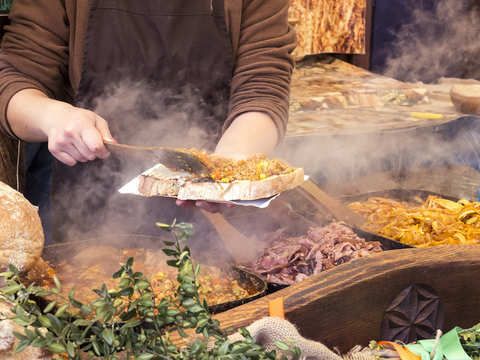 Here are some last-minute recipes to satiate your taste buds. 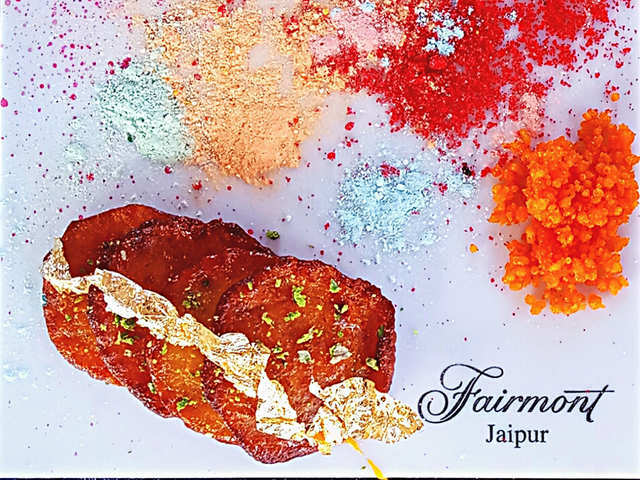 Every meal is incomplete without some mouth-watering desserts.From jaggery-date gujiyas to juicy jalebis and healthy oat bars, these delicious Holi recipes with an interesting twist will make your da.. 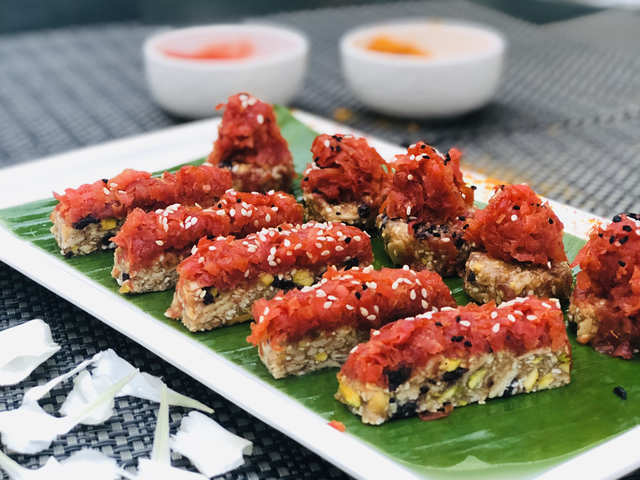 Ingredients:Roasted cashewnut: 75 gmRoasted almond flakes: 75 gmTossed oats: 50 gmTossed sesame seed: 25 gmRaisin: 30 gmDry coconut powder – 25 gmHoney - 150 gmJaggery syrup - 180 gmBrown Sugar – 50.. Ingredients: Split green gram skinless (dhulimoong dal) - soaked and ground to a coarse paste: 1 cup Ghee: 1 cup Gram flour (besan): 1 tbsp Milk: 1 1/2 cups Sugar: 1 cup Khoya/mawa: 3/4 cup Almonds (.. 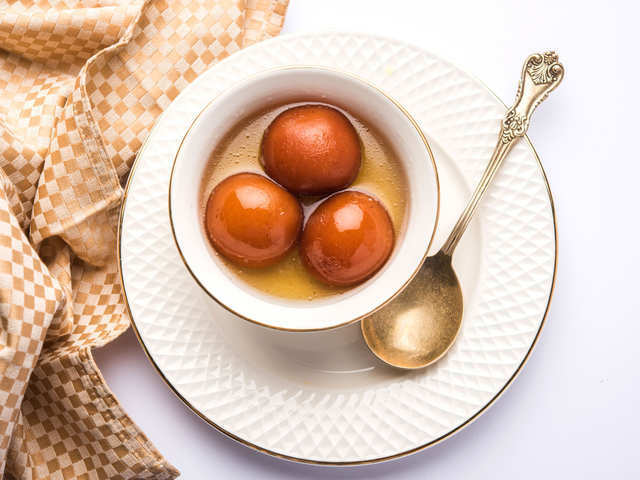 Ingredients: Maida: 3 cups Curd: 1 cup Corn Flour: 1/2 cup Sugar: 3 cups Saffron: 5 strands Cardamom powder: 1-2 tsp Ghee: 4- 5 tbsp Baking Soda: 2 tbsp Sunflower Oil: 4 cups Water: 4 glass Rose Esse..
- Sieve the flour. Mix maida with oil. Serving: 25 Pieces Ingredients For the covering Ghee: 800 ml Maida: 500 gm Oil: 120 ml For the filling: Khoya: 600gm Green cardemom powder: 8gm Almond: 25 gm Raisins: 25 gm Dried Coconut: 25 .. Ingredients: For pancakes: All purpose flour (maida): 1 cup Semolina: 2 tsp Powdered sugar: 2 tsp White bread: 3 slices Green cardamom powder: 1/2 tsp Pistachios (finely sliced, for garnishing): 2 t.. 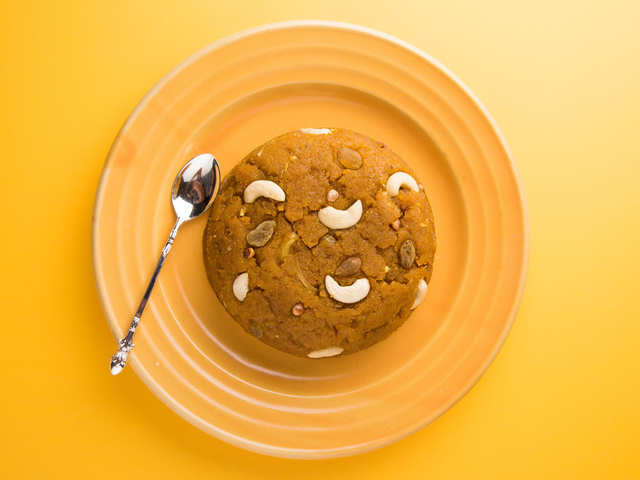 Ingredients: Khoya Dhab: 150 gm Chenna: 50 gm Refined flour: 30 gm Corn flour: 10 gm Green cardamom powder: 1 tsp Baking powder: 1/4 tsp Sugar: 500 gms Water: 1 litre Lemon (sliced): 1 Oil to fry M.. 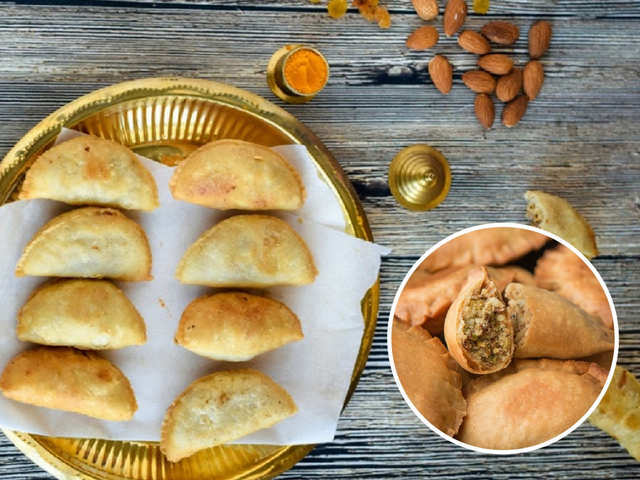 Ingredients: For the dough: Wheat flour (atta): 500 gm Ghee (melted, cold): 150 gm For the filing: Almond flour: 50 gm Dates (finely chopped): 100 Sesame seeds: 10 gm Honey: 15 ml Cardamom powder: .. 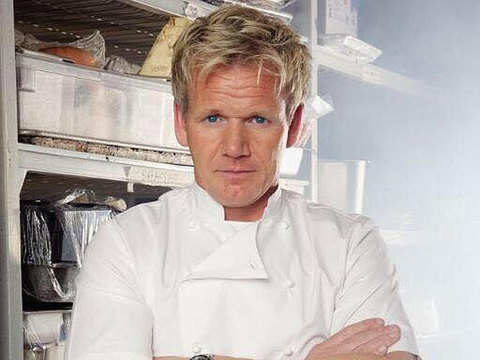 He's the man who made Gordon Ramsay cry. 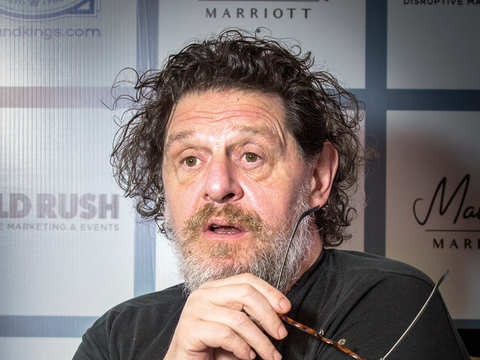 The celebrity chef is known to openly mock the diet. 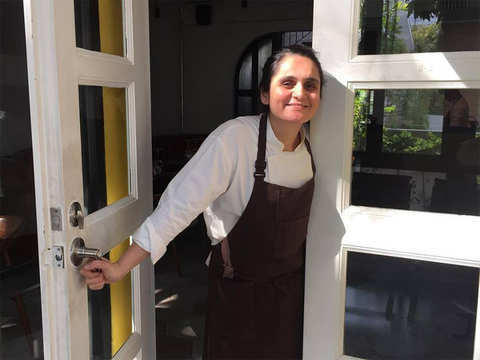 Hailing from Mumbai, the 30-year-old Le Cordon Bleu alumna launched Gaa in 2017. 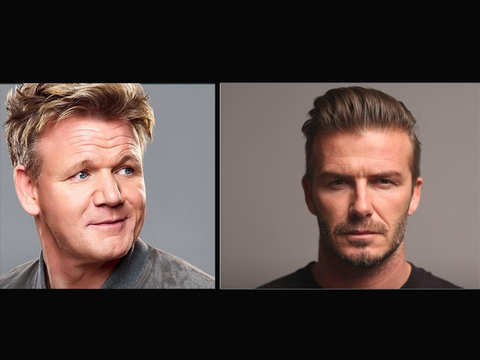 The gloves are off and the knives - and forks - are out, as Beckham and Ramsay prepare to battle it out in the kitchen. 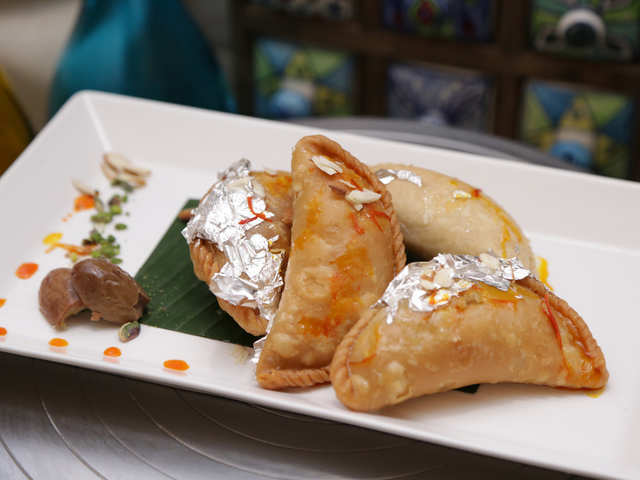 Moving on from routine chaat, dining menus are now dotted with evolved regional snacks. White is the youngest chef to have received 3 Michelin stars at the age of 33. 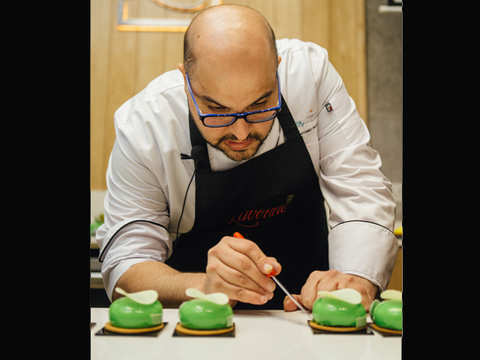 He will be serving his range of legendary pastries and signature bonbons at Lavonne Patisserie. 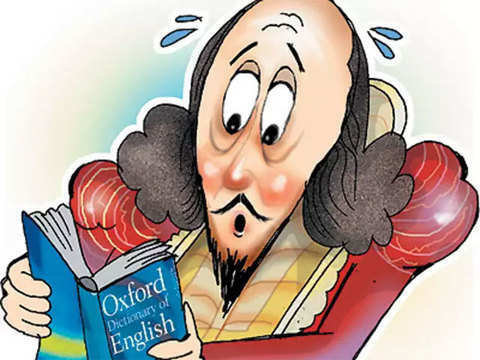 So, should Americans beware of Anglocreep? Ramsay announced the news on FB, revealing that he had to undergo surgery, & on doctor's orders can no longer take part in the charity match. 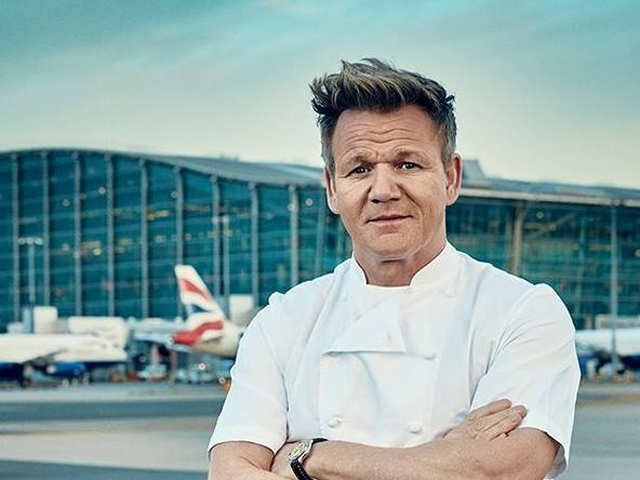 Business News › Magazines › Panache › Is Gordon Ramsay's newest London restaurant a 'real-life kitchen nightmare'?